Easter is an exciting time of the year across the US. The weather is warming up and Easter time brings people together to build memories and learn more about Easter. As a church, this is an incredible opportunity to serve your community and congregation together in this celebration of this special day. Here are four tips to reach your community for Easter. One of the most frustrating things when visiting a new church is knowing where to go. Creative uses of retractable banners and signs will help visitors and members alike know where they are and where to go. Retractable banners can be set up on a floor or table and retract for easy storage. Signs can point people to key areas of your church such as the main auditorium and classrooms. Posters are also an easy way to communicate information to attendees in a visually pleasing manner. 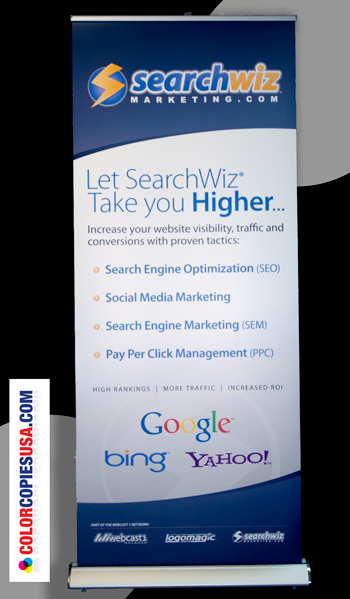 Find out more about our retractable banners and posters. Giving your Easter attendees something to remember the day (and your church) will extend the reach of your church past just Easter day. A promotional item can range from t-shirts to pens and many other items. Color Copies USA has a wide variety of promotional items to meet your interests and budget. Putting your church name on an item will help attendees remember the special day as well as your church. That way, later in the year, other ways you reach out to your community will make a closer connection to those people. Not only t-shirts and pens, we also offer bags, hats, cups and more. We offer several catalogs of promotional items to meet your needs. 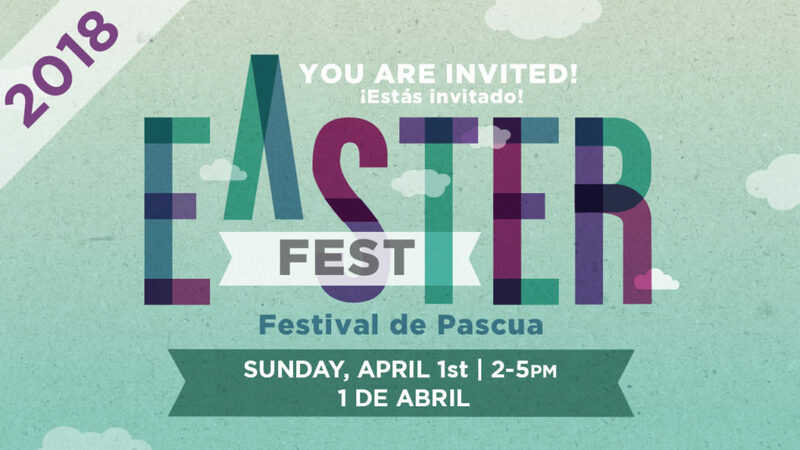 A little planning and professionally printed material will provide a welcoming and memorable experience to attendees while you convey the message of Easter to others. Saying that St. Patrick’s Day is one of the most enjoyable holidays around the country would certainly be an understatement. And if you look around in the weeks before the festival of green, you’ll see plenty of flyers and ads promoting upcoming St. Patty’s Day sales, postcard promoting Irish music and dance events and vinyl banners for upcoming parades. According to statistics in Forbes, more than 33 million people celebrate St. Patrick’s Day each year in the USA, with no less than 13 million pints of beer consumed on March 17 annually. In the parties, parades, and celebrations that are thrown for St. Patty’s Day each year, 82.5 percent of attendees decide to wear green. The rest of them often decide to wear green or shamrock themed memorabilia to honor Ireland, the cherished homeland of St. Patrick and ancestral homeland of so many Americans. What a great idea! This adds up to $5.3 billion dollars of expenses with a $38 expense for the average partygoer. That creates an opportunity for businesses to be a part of memorable events that not only serve as a great source of revenue generation but which also allow ample entertainment to a majority of their customer base. As such, this allows their customers to associate their brand with positive memories, and the mutual values they share towards a strong business connection. To make sure that you make the most out of this great opportunity while having some fun along the way, here are a few lucky ideas to making your own St. Patty’s Day party a success. One of the best ideas to help make it a lively St. Patty’s Day bash is also the simplest: serve green beer to the guests at your event to give your locale that ‘Irish pub’ feel. While green beer is not originally from Ireland, this American brew has become a staple in St. Patrick Day celebrations in recent years. If your business wants to throw a fun party, then the inclusion of this vibrant drink is a must have. Speaking of celebrations, announce yours with custom flyers. Color copies can be printed for pennies these days, and online printers like Color Copies USA can send you your flyers quickly via UPS or US Mail, so that you can get to work promoting your celebration or event. If you own an Irish pub yourself, then it’s a good idea to make sure to utilize this drink to the fullest. On the other hand, even if you operate in a different business sector, you can sponsor a local pub as a part of your St. Patrick’s Day celebrations. In either case, make sure you have some branding materials in hand. Pop-up banners, special menus, and flyers to go around the neighborhood would all work towards ensuring a great guest turnover. Putting together a concert can take some work. But if you have an idea as to how to pull it off, then it can leave your customers with long-lasting and positive memories. 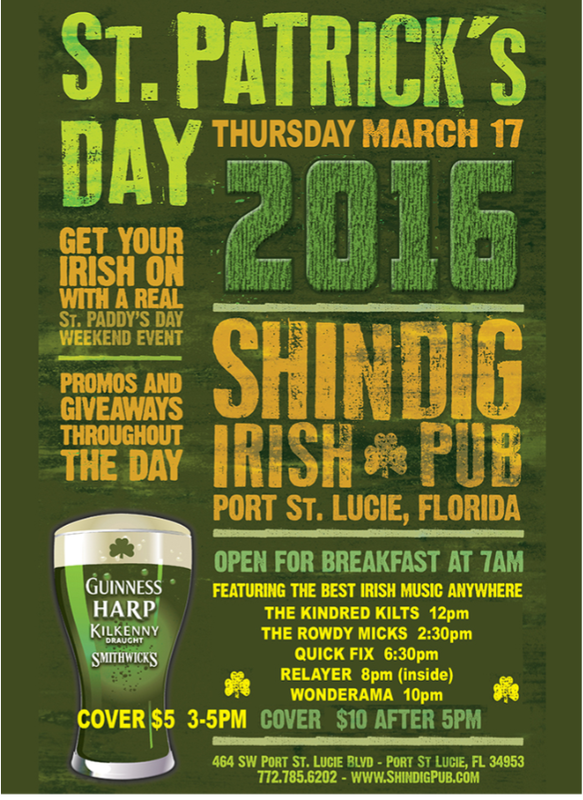 You don’t have to go all the way and spend a leprechaun’s weight in gold at this event. Instead, keep it simple with local and passionate artists while making the event more fun by serving of some of the best Guinness you can find. Remember, you can also simply sponsor such an event and be a part of the celebrations without doing the heavy lifting. Once again, pamphlets, flyers, and t-shirts could serve as great branding merchandise. Make sure to spend some amount there for ample exposure. Irish dancing festivals are yet another popular way to uphold the modern spirit of St. Patty’s Day. Like concerts, these events can take some work as well. But when they are put together well, you get to have passionate guests and long term customers who would remember your special and unique brand. They will remember that you made the extra effort and that you were there to celebrate. There are likely a number of dance schools in your area. Just make a few inquiries to find out which feature Irish dancers and then your sure to get them interested in appearing at your vent. Don’t forget to promote the event with flyers, banners etc. Sponsorship and branding would of course once again be at play. Whether you are arranging the event yourself or simply participating as a sponsor, ensure to use some nicely printed merchandise such as indoor posters, banners and signs to make the most out of the branding opportunity at hand. If you are planning a St. Patty’s Day Concert or Irish Dancing Festival, you’ll want to choose an online printing company such as Color Copies USA that has sufficient experience with event promotions. Providers such as Color Copies USA can take the heavy lifting of merchandising off of your hands, so you can focus on your event planning and core business activities instead. We have great ideas to help you promote on for your March 17 event, sale or promotion. After all, the key of a successful St. Patty’s Day party is to focus on providing your customers with fun experiences while genuinely enjoying the event yourself. 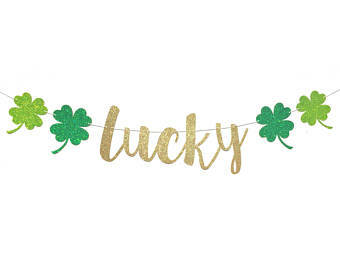 Author Rick WatersPosted on February 11, 2019 February 16, 2019 Categories PrintingTags Banners, Copies, Flyers, St Patricks Day ideas, St Patricks Day Marketing, St Pattys Day IdeasLeave a comment on Lucky Ideas for Making St. Patty’s Day Event a Rousing Success! Congratulations, you have taken the leap and started your own business! It’s a big step and an accomplishment you should be proud of. Now that you’ve set up your new company, you are likely wondering how to effectively market it. Most modern business marketing advice revolves around digital marketing methods such as having a good website. profiles on major social media platforms. search engine optimization and content marketing. While these are important, they cannot wholly replace the value of printed materials in marketing. Some businesses, for example, may primarily operate locally and have little need for digital marketing efforts. 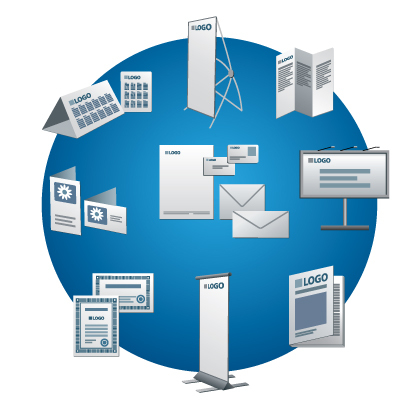 Even if your business is wholly online, there are still benefits to using printed marketing materials. The following is an in-depth guide for how to market your new business in 2019 by using printing like that available here at ColorCopiesUSA.com. For certain types of businesses, direct mail can be an invaluable way to gain the attention of clients. This is especially true for small businesses like doctor’s offices and storefronts that don’t do much business outside of a local community. Direct mailings can remind customers that your business is still there if they haven’t come in a while, promote sales and discounts, advertise that your new business has opened and more. It is a good way to reach people who may not spend a lot of time online, such as older demographics, if your business caters to them. There are a lot of possibilities with direct mail you can discover by getting some printed and seeing for yourself. Most professionals are well-served by having a business card they can hand out to people at events or in passing. This is especially true if you are a freelancer or even run an online business. A business card is a great way to encourage people you meet in real life to check out your website and the products or services you provide online. Business cards also provide contact information so people can contact you later with questions, commissions or other requests. If you run a physical store or office, color banners and signage are practically a necessity. They can serve to advertise your business from the windows to catch the eyes of passerby and convince them to come inside and shop. This is helpful because these signs immediately let customers know what you sell and the type of business you are. They can advertise promotions or sales that may be going on at the moment. Retractable banners and indoor posters can also serve to make the inside of your store or office more vibrant. Your printed logo, the name of your business or a clever saying printed on promotional items is another great way printing can promote your business. T-shirts, for example, can be worn by your employees at events and sold to your customers to spread the word about your business. They are also helpful for branding and team-building efforts among your employees. Billboards, flyers posted around town and other types of physical signage are very effective at drawing attention to your new business and will continue to be popular in 2019. Car signs, including magnets carried by Color Copies USA, are also a great idea. They serve as a moving advertisement for your business just while driving around town. They are especially useful if your operation goes to individual homes, such as if you run a cleaning business or a dog training service. Printed materials are still very relevant in advertising your new business…even in 2019. They be used in any number of ways to help get your new business of the ground and experience growth. Choose an online printing company experienced in working with many different types of industries to successfully promote and grow your new business. If the last few years are anything to go by, the upcoming Thanksgiving Holiday should prove to be an exceptional season for many eateries across the motherland. According to a report released by the National Restaurant Association, close to eighty million Americans will be dining out or requesting take-out meals on Black Friday and Thanksgiving; and this is a number that is expected to continue rising in the next few years. For many entrepreneurs in the service industry, the Thanksgiving craze tends to be a two-edged sword. The increased business is certainly welcome, but striking the proper balance between marketing and ensuring that they are properly staffed often ends-up being more challenging than initially anticipated. By now you already know that the holidays are a busy season. Many homeowners do not have enough time on their hands to prepare any decent family meal. In addition, many locations across the country are experiencing snowy and cold weather; a factor that makes it hard, if not impossible to get to the local mall to do some last minute shopping. And given that this is a time when most families host friends and colleagues, it means that most homes now have more mouths to feed than is normally the case. Fortunately for your clientele, you can try and simplify their lives by providing them with recently prepared meals. Provide meal packages that can be delivered to the customer’s doors or that can easily be picked by the customers on their way home from their places of work. You can choose to provide the clients with two sets of packages: for instance, you can have a standard dinner that can feed between four and five people, as well as a holiday dinner. 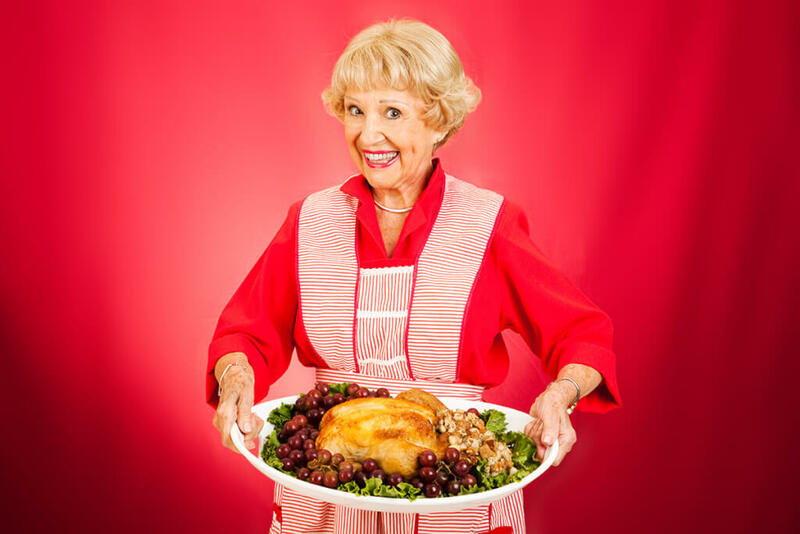 The latter should comprise of festive Thanksgiving food items like pies for dessert, roasted chicken or ham, fresh rolls, salads, and veggies. Limiting the number of available options means that you can easily stock these items in advance, and then easily combine them for each new order placed by a client. There is no better way to usher in the holidays than to host a party that can also be used as an avenue to promote your restaurant. You will not have to go overboard with the party preparations as the best and most memorable parties are those that have happy attendees and well thought-out themes. This particular strategy is ideal for eateries that are looking to create an email marketing list that they can use to communicate with potential and existing clients. Many party attendees will be more than willing to provide you with their email addresses in exchange for a gift item. A recent survey conducted by the National Retail Foundation indicates that close to sixty-nine percent of Americans will go shopping at some point between Thanksgiving and Cyber Monday, with Black Friday being the busiest of the five-day holiday period. This is a day when more than 115 million people across the country will leave their homes to participate in the holiday madness. Given that they will naturally have the day off from their usual work-related activities, you can provide them with lunch specials to help them relax after queuing for long periods. As your restaurant teams start making preparations for this holiday, ColorCopiesUSA recommends that you also share these special events and promotions via your email marketing lists, company website, and social media accounts. With the holiday season just around the corner, you may be wondering what kind of things you can do to make your Halloween party the best it can be. If you are a retailer, you are racking your brain thinking of ways to attract Halloweens to your Halloween sale or special event. Here are some terrifyingly simple ways you can make your October 31 eerily successful. Of course, step one is to let everybody know that there’s a something to be celebrated in the first place. 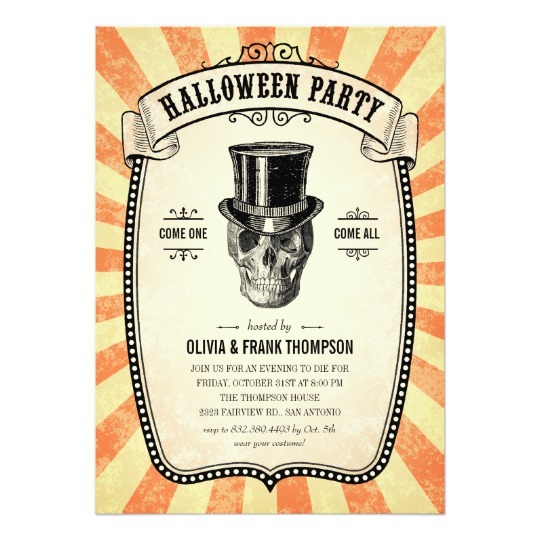 If you’re throwing a party, have a Photoshop savvy friend help you design invitations with any Halloween motifs you like. Then print the invitations out and send them to as many people as you can. The more the merrier. 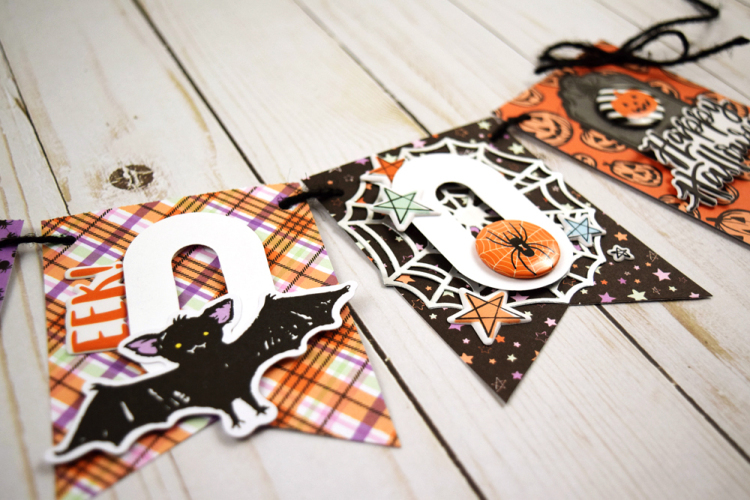 We also have SPECIAL personalized Halloween card printing available. These cards are printing on thick cover stock and folded and are personalized with your own images and message. Perfect for your special event or business promo mailer. Print out an interesting design on a small paper bag and fill it with all of the office supplies that you’ve stolen from your coworkers over the years. Or, more in line with the spirit of this holiday, you can fill them with candy and other goodies. For those who lack a sweet tooth, consider filling these bags with coffee or something else they might like. Your imagination is the limit here. You can also try giving out advertising logo promo / ad specialities like these. With all the ways that you can celebrate the ‘rousing of the spirits’, you may be at a loss as to how to ‘display’ your appreciation for their macabre charm. Here we’ll lay out a few intriguing ideas relating to using banners and signs so that your party will have your guests screaming. If you’re working on Halloween this year, don’t worry. These ideas can be put to use in professional environments as well; feel free to use them as promotional ideas. Anything that gets people in the spirit will help no matter the occasion. This is the ultimate in celebratory print materials. What better way to commemorate the passing of a season than with your message strung end-to-end across your living room? Of course, this is also a great way to promote your business. Especially if you run a Halloween outlet of some kind, selling costumes and so on, one of these will be a necessity. If you need help preparing for your special Halloween party or event, don’t be scared! Just pick up the phone and rely on the friendly printers who care – Color Copies USA – we’re ready to make your Halloween promotions a success! Call us at 877-421-0668 to place your order early before the holiday rush begins! There are so many technological advances in the world of printing these days, from 3D printing, from new innovations in digital printing, from nanographic printing to the explosion of online printing companies like ColorCopiesUSA, the industry is as viable as ever. Initially however, the printing process was very tedious and time consuming. With the invention of movable parts, printing machines revolutionized the printing process. It facilitated faster and better printing which helped to spread knowledge and education around the world. Nowadays, the printing process has improved considerably due to technological advancement. Mass publications are made within a short time while still maintaining quality. Here are some of the common printing techniques used today. It is one of the commonly used techniques in the printing industry. In this process, the content to be printed is contained on a printing plate. The plate has been designed to hold ink only on the part that contains the content. The inked part is transferred/offset to a rubber blanket and then on a printing surface. Modern offset printing machine uses computer systems to enhance quality. It is used to print any flat surface such as papers, plastic, etc. The most significant benefit of this technique is that it is cost effective and produces high-quality content. However, omissions cannot be corrected once the plates are set. 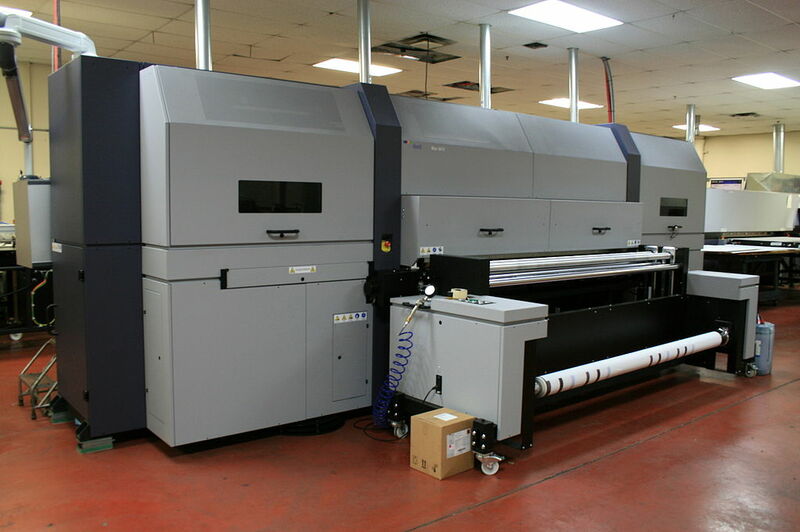 Flexography is a commonly used printing technique used to customize content at rapid speeds. It is closely related to the traditional letterpress printing and is used in almost any type of surface. This technique utilizes flexible photopolymer printing plates that are attached on rotating cylinders. The plates are slightly raised and rotate at high speed to transfer the content on the printing surface. Flexography was extensively used in the 20th century in food packaging. 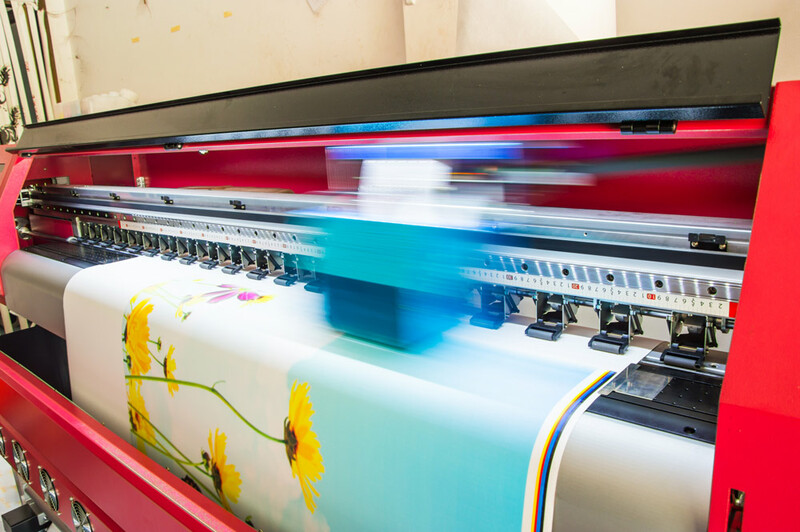 Recently, digital printing has become popular due to the advancement of technology. The technique involves transferring content from a digital device to a printing surface. 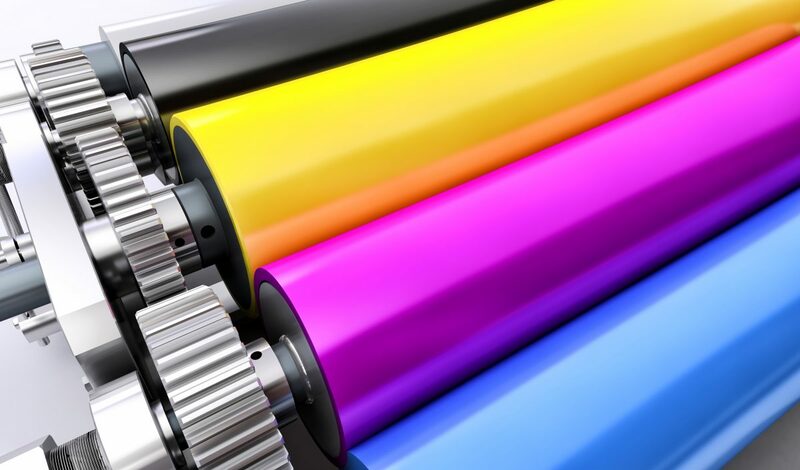 Unlike other traditional methods such as lithography, printing plates in digital printing are not regularly replaced. This significantly reduces the printing turnaround time and cost. Digital printing allows for an amazing amount of variation and originality. For instance, wide format printers of up to 98″ width allow small businesses to print their output to heretofore unimagined sizes. Vinyl banner printing allows for production of vinyl banners up to 8 feet wide and up to 30 feet long. 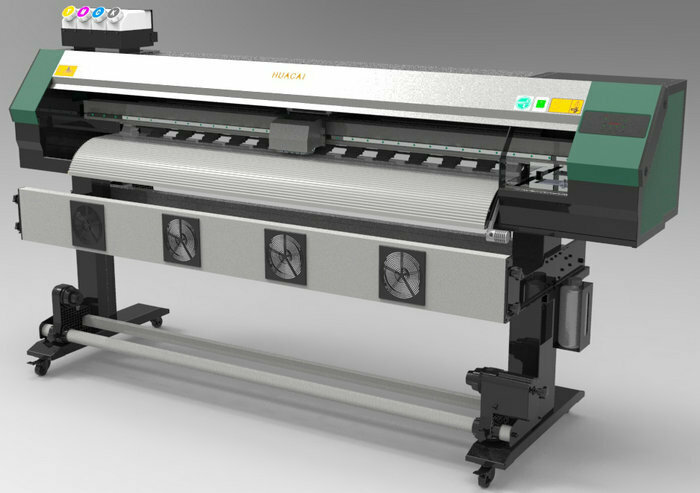 UV curable flatbed machines allow for printing directly on many surfaces from styrene to foamcore. Inkjet and xerography are the most popular digital printing methods. Inkjet – It is a printing process that involves recreation of digital content by propelling small droplets of ink on a surface. Inkjet printers come in small, inexpensive devices and professional machines used on a range of surfaces such as papers, plastic, canvas, etc. The idea of inkjet printing was conceptualized in the 20th century but advanced extensively due to the development of computer technology. Xerography – Also referred to as electrostatic imaging, it is a printing technique based on electrostatic charges. The concept was invented and patented in the mid 20th century by Chester Carlson. An electrical charge is evenly distributed on a metal cylinder known as the drum to attract toner particles that are then transferred to the printing surface. Depending on the printing surface used, Xerography provides archival durability. Also known as rotogravure, it is a rotary printing technique where the content to be printed is engraved on a cylinder. Through high speed, the cylinder transfers the content on the printing surface. The method is mainly used in large volume works such as newspapers. Here at the start of the 21st century, with new electronic printing methods emerging, there has never been a better time to explore the unlimited options that print technology brings you and your business. You’ve spent all day – sometimes days or even weeks working on your project and when it comes back from the printer it doesn’t look like you expected it to. Sound familiar? It happens more often than you might think. In this blog post about preparing your files for successful printing we’ll cover are some easy steps you can take relating to CMYK, bleed and fonts for example ( see below ) to prevent printing problems from happening. Let us take you through some troubleshooting basics to ensure your next printing project turns out as great as you expected. Let’s start off with color. We will use one of two processes to print your project – Full Color or Spot Color. Full Color presses use the CMYK process to create the final printed project while Spot Color uses just one ink color, the latter is mostly used when printing black ink on an envelope or something similar. More than likely your print job will need to be saved on your computer in the CMYK format. RGB color format is for use on a monitor only and the color will vary quite a bit if you save your art in RGB instead of CMYK mode, almost guaranteeing you will see a different color between what you made on your computer and the final printed piece. No matter what program you use to create your project, you should be able to easily change the color mode to CMYK. Most often it is in the Preferences section. What Do You Mean it Has to Bleed? Bleed is a term that is used when your art has to print to the edge of the paper. In order to make this happen, we have to print the job on a larger size sheet then trim it down to the finished size. That means your art has to extend beyond the finished piece so we can trim off the excess. Adding .25 inches to the overall size of your project will ensure we can make that happen. For example: If your finished piece is 8.5”x11”, the file you send us should be 8.75’x11.25’ with the part of art going to the edge actually extending out to this new bleed area. Don’t forget to make any essential information like text stays within the finished size. A safe practice is to make sure text never gets within .25’ of the finished edge. Why Did My Font Change? The font you used to typeset your project might not be a font we have on our computer. Sometimes this causes the program to use a default font to replace the one missing from our system. There are two easy ways to make sure this doesn’t happen. If you are using Illustrator or a similar program, select your text and choose “Create Outlines”. If you are using Photoshop, flatten the artwork before saving. Just make sure you save the original project under a different name as both of these methods makes it so you cannot edit the text any longer. To help ensure you get a printed piece that looks correct, the file format you send should always be a PDF File. This is a universally accepted format that embeds more information into the file than most other files. Never send a file that needs to printed in the native software format i.e. ; Word, Excel, Pagemaker, etc… No matter what program you use, you can save the art as a PDF. Now that you have the basics of troubleshooting for printing problems before they happen – feel free to give us a call if you have any questions regarding print file preparation. We pride ourselves in producing high quality printing with complete customer satisfaction and would love to give you any advise to make sure that happens! Spectacular Ideas to Promote Your 4th of July Event! 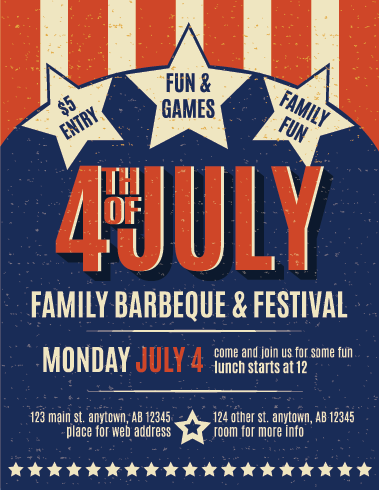 Using the Power of Printing to Make Your July 4th Event Sparkle! When you are promoting a special event for the Fourth of July, it is essential to use a variety of high-quality advertising materials. 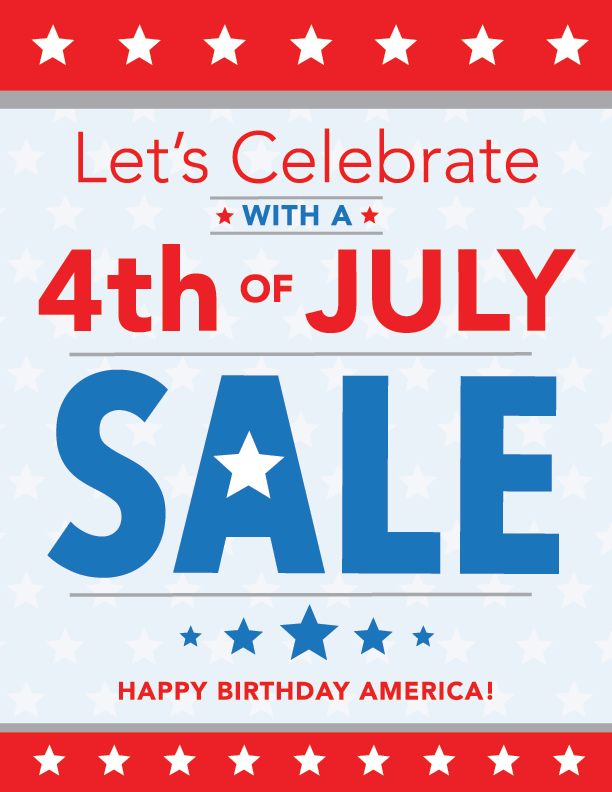 At Color Copies USA located in Fort Lauderdale, Fla. and serving customers online throughout the USA, you can leverage the ‘power of printing’ to create dynamic advertising materials for your upcoming July 4th holiday event. What Are the Different Types Of Advertising Materials? How Many Individuals Travel During the July Fourth Weekend? Nearly 50 million individuals will travel for the Fourth of July weekend, so you must use this opportunity to increase your business’s profits. Our company’s advertising materials are diverse, affordable and attractive. We make it easy to send us images, logos or other information to customize a variety of products. BTW – this blog post is brought to you by Color Copies USA. We’re a ‘deep discounter’ for printing and we make it easy to order an assortment of items from our online website, delivered to any address that you choose FAST! The traditional color options for the July Fourth weekend are red, white or blue, and we offer an assortment of color printing with different font styles. In addition, you can order advertising materials that are made in different colors to capture the interest of your customers. You don’t need to worry about whether or not you will like a particular type of advertising material because you can design it online to see what it looks like before placing your order. You will want everyone to recognize your advertising immediately by having your business’s name in a large font size, but you may need other important information such as the time of the event. When you are sending any type of advertising in the mail, you can provide additional information such as the address for the event along with your business’s telephone number. For Fourth of July advertising, you can use decorative elements such as red and white stripes, blue backgrounds with stars, or images such as the American flag. When you select the font for your advertising, you might want to select an old-fashioned style that looks patriotic. Remember that when you are designing signs or other items, you will want your advertising to stand out from your competitors. Don’t wait until the last minute to use or mail your advertising materials and promotional items. Send flyers and postcards to potential customers at least a month in advance. Begin to hang signs in the windows of your business or use pop-up signs on the sidewalks or along the street to capture the interest of anyone passing by your business during the week before your sale or event. Author Rick WatersPosted on June 27, 2018 June 27, 2018 Categories PrintingTags 4th of July, Banners, July 4, Mailings, Printing, Promotions, Shopping, SignsLeave a comment on Spectacular Ideas to Promote Your 4th of July Event! Mother’s Day is fast approaching – May 13th – and it’s time to think about the ways that you’re going to celebrate ‘Mom-ness’ in a fun and original way. Whether you’re a business looking to promote a particular event or product or you’re just looking to make the most of a celebration with your own mom, leverage the power of print to make your Mother’s Day Pop! You can opt for a reusable retractable banner for your retail sale or for your brunch event. This is something that you can look at as an investment ( after all – it happens every year! ). It’s easy to stand up because it’s self-contained with the banner and a stand. It can go inside your lobby to greet people or at a host stand to let people know of an upcoming event. Whatever it might be, you can say it bigger and better with a banner so everyone NOTICES it and more people can find out about it. Do you want to give mom a custom mug that has your face on it? This has been a popular Mother’s Day gift for years and one that you can easily create and have printed in time. 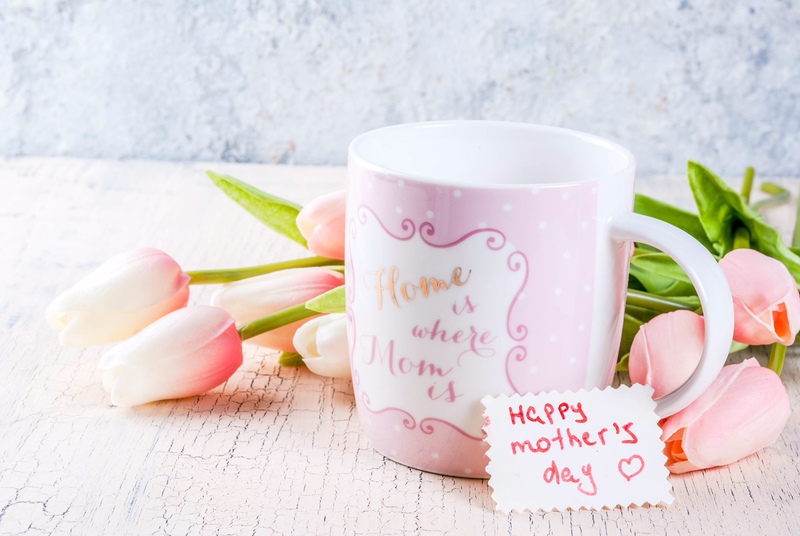 If you’re a hotel or restaurant prepping for the holiday, you may also want to think about a giveaway where every mother gets a free mug that day as a way of celebrating the women who visit. If you have a family brunch – imagine how happy everyone will be to receive a mug with Mom’s picture or a photo of the whole family on it! Celebrate mom in a fun way by having custom t-shirts made for everyone in the family (or everyone at your business). It’s a great way to theme everyone for the holiday so that mom knows that the day is dedicated exclusively for her enjoyment. You can have her photo or we can use any artwork you supply. We can even custom design artwork especially for the occasion! Our Custom t shirt printing will make it a Mom’s Day that will be remembered the whole year through! 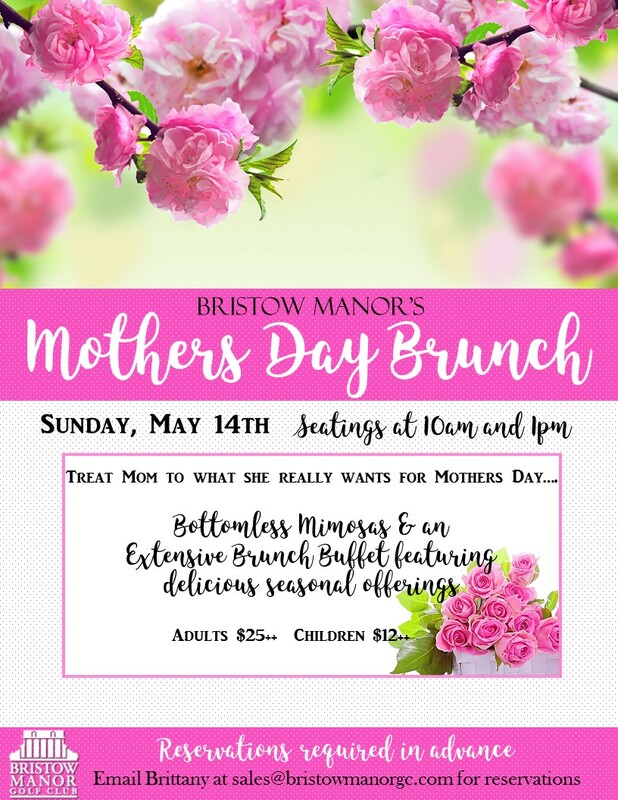 Whether you’re promoting a Mother’s Day brunch or even a cool sale in advance of the holiday, color flyers can be printed and then distributed around town. It will be a great way to get the word out about what’s going on with plenty of room to share the details. You may also want to consider postcards. These are smaller but can be used to mail directly to people. Mail them to your already established mailing list or buy a mailing list of your community. It may allow you to boost your sales for the holiday by tapping into a demographic that didn’t know you existed. Print marketing is still alive and well in 2018, especially because people can pin a flyer or postcard to a bulletin board or fridge as a reminder that you have something going on. This is a once-a-year holiday so it’s important to make the most of it. Flowers, brunches, and jewelry are favorite mom gifts, so be sure to consider that as you prepare. You can get wildly creative for how you get ready for the holiday. It’s even more fun when you brainstorm with your family or business associates. The friendly and imaginative team here at ColorCopiesUSA is also happy to hop on the phone with you and get creative with you to help your Mom’s Day ideas come to fruition! So the good news is you still have time to get it printed by May 13 and you can rely on ColorCopiesUSA.com to take care of this event and all of your printing needs, from flyers and banners to gifts and promotional items! 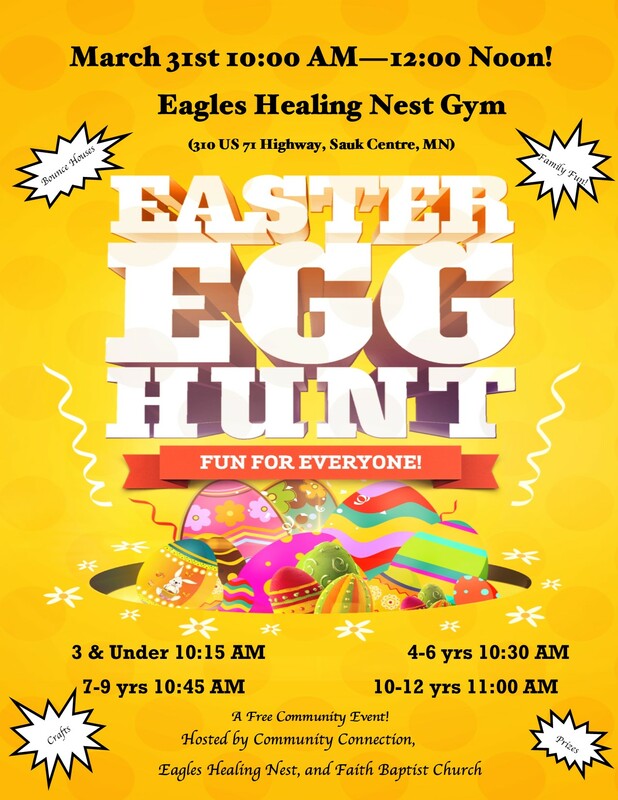 Eastertime – Egg Hunts, Church Events, Parties! Easter is a time of year that many people celebrate the joys of this season. Whether your Easter holiday consists of commemorating the resurrection of Jesus, the hunt for Easter Eggs, or the joy of Spring celebrations, there is much to prepare for during this holiday. Spring has sprung, the weather is beginning to change, and with it comes new opportunities for fun and party planning. When you begin searching for the perfect decorations and invitations, it is important that you know what to look for to make your 2018 Easter celebrations perfect. First, identify what you want to celebrate and the kind of festivity you want to plan. There are numerous choices for the spring season, in which case Easter is the premier. Regardless of whether you are planning for a church cantata, a cookout, an Easter egg hunt, or a family gathering, it is important to prepare beforehand. The best way to draw the attention of your neighbors and friends is to use bright and bold, colored marketing materials. Show them that you mean business with your party and that their presence is valued. You can do this by investing more into how you present this event to them. Here are a few tips that can capture anyone’s notice for you holiday event, all of which we provide through www.colorcopiesusa.com. When people come to your event, you want them to leave feeling valued. To keep them connected to your event or services, there are many promotional items you could give them to remember you by. A coffee mug, notebook, or mouse pad with your logo on it will keep the memory of their experience fresh in their mind. Therefore, if you are hoping to plan the most exciting event of the year, help them look forward to the next festivity that you plan with a gift item that keeps your church or company fresh in their minds. The first impression that you may have on a new guest is likely to be the invitation or registration card that you place in their hands. When they see your invitation or words of welcome, will they be impressed or disappointed? By using color and bold images, you will undoubtedly capture their attention. If you want someone to be impressed with your Easter event, do not miss the opportunity to influence them during what is possibly the most colorful holiday of the year. 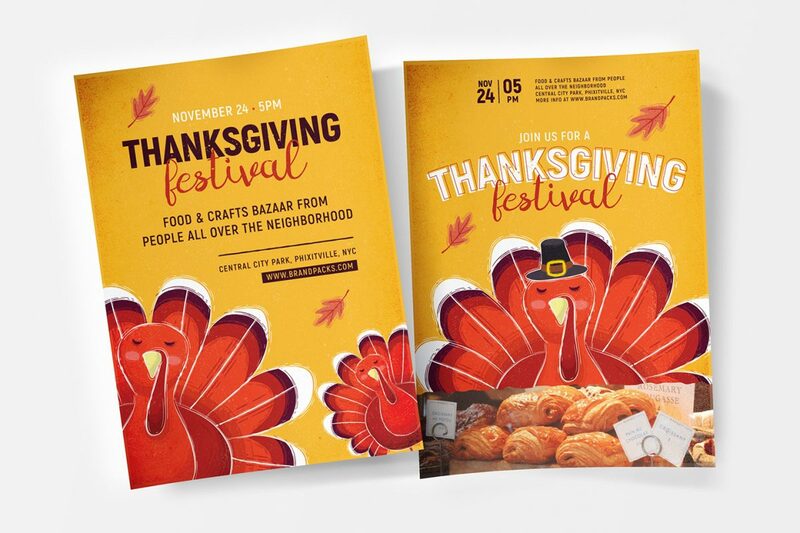 Make a statement with your marketing materials this season by making then even bigger. By investing in a banner or a poster, you ensure that your event is seen even at a distance. By optimizing your promotional content and making them even more noticeable, it is likely that you will draw a bigger crowd. Choose to excite your potential audience and partygoers with an amazing banner. What can you possibly say to someone else to convince him or her to spend Easter at your event? No matter what you say, people are always going to believe what they see. If they see your effort in creating beautiful materials that draw them in and make them feel included in something spectacular and well presented, they will be more likely to enjoy themselves. By using our commendable services at www.colorcopiesusa.com, you are promised an opportunity to amaze your target audience. No matter what kind of event you are planning, prepare it with the intent to impress.